Eric Beers is the Coalition Director of the Indiana Healthy Weight Initiative. In his role he has helped craft a new vision and structure for the six-year old state-wide initiative. Over the past two years the IHWI has been working hard at connecting with the large number of county-wide health coalitions and health alliances that exist in communities across the state. With a strong focus on listening to communities and supporting existing community efforts, Eric is working to position the IHWI to be able to support, connect, and advocate for existing lndiana efforts to change policy, systems and environment in the service of health. 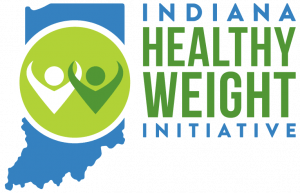 The IHWI is developing a more robust public policy presence and is working on the state’s first comprehensive obesity, physical activity and nutrition data document to better tell the story of obesity in Indiana. Eric believes that community organizations and community members are best positioned to change the health of their communities. Through his work at the IHWI, Eric hopes to help develop these local leaders and organizations so that they can positively affect their communities. In his spare time, Eric serves as the chair-person on a creek and environmental stewardship group in Brown County and plays as much soccer as possible. CHeP is excited about Eric’s participation on the advisory board!